Those travelling from Sussex to London Victoria on Sunday (January 27) will need to get a rail replacement bus between Gatwick Airport and Redhill. The partial closure of the mainline is part of the major Network Rail works on the route between Brighton and London. 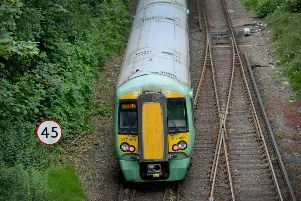 Those travelling from Brighton and Hove, Eastbourne, Lewes and Worthing will need to get a 20-minute rail replacement bus service which links Gatwick and Redhill. Services will run between Brighton and Gatwick Airport, and between Redhill and London Victoria. Passengers from Littlehampton and Chichester will be diverted via Horsham.